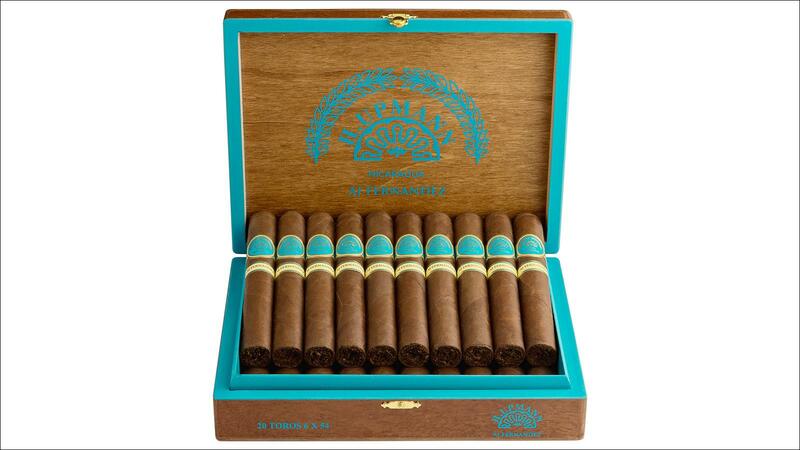 There's a new interpretation of the storied H. Upmann brand, and it's coming out of Nicaragua. Made by A.J. Fernandez at the Tabacalera A.J. Fernandez Cigars de Nicaragua factory, H. Upmann by AJ Fernandez is shipping to select retailers at the end of this month, with a full-scale launch following in May. The new H. Upmann is enrobed in an Ecuadoran Sumatra wrapper with a Nicaraguan Corojo '99 binder and filler tobaccos from Nicaragua and the Dominican Republic. H. Upmann by AJ Fernandez will be offered in three sizes: Churchill, at 7 inches by 54 ring gauge; Toro, 6 by 54; and Robusto, 5 by 52. The cigars ship in 20-count boxes and range in retail price from $7.25 to $7.75. This isn't the first heritage brand to be reimagined by Fernandez. The cigarmaker has also made versions of Montecristo and Romeo y Julieta for Santa Clara Inc., the catalog and internet sales division of Tabacalera USA. H. Upmann by AJ Fernandez, however, will be distributed directly by Altadis U.S.A.
"This is not exclusive to Santa Clara. This is a national launch by Altadis U.S.A.," Yasemin Ozoncul, marketing director for Altadis U.S.A., told Cigar Aficionado. Both Santa Clara and Altadis U.S.A. are distribution companies under the umbrella of Tabacalera USA, which itself is an arm of Imperial Brands PLC. According to the company, H. Upmann by AJ Fernandez will ship to approximately 30 key retail tobacconists nationwide (plus Montecristo Lounges and Casa de Montecristo stores) on May 8. Afterward, it will launch to all accounts on May 22.